Although it is a major effort to take in any high brow events, such as opera or theatre from here, there are some benefits to living in paradise. Plenty of water events to keep the out doorsy types amongst us happy and occupied. 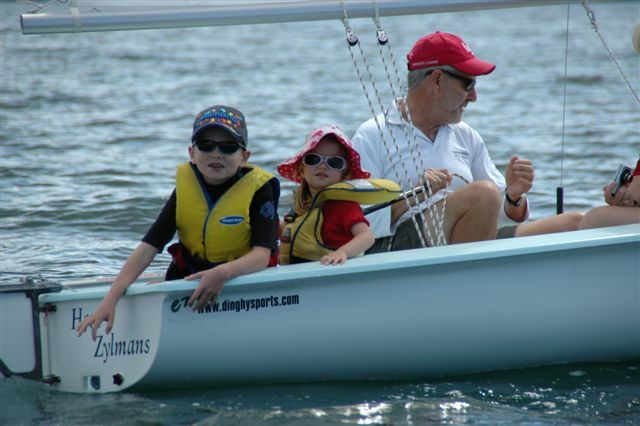 Last Sunday was the end of season yacht club picnic, so we jumped at the chance to go for a 'relaxing' family sail. Mr Beach House built the two boats above, and they were officially launched at the yacht club last sunday, so it was great to test them out with a thrash around Pittwater. With number one Beach House Brat at the helm we were away, with 2 little dinghies in hot pursuit. Now every thing is a competition where Mr Beach House is concerned, but when your friends charge up the rear under diesel, there's not much chance of success. All you can really hope for is a tow when the wind dies. Actually, there wasn't much wind but I love being stuck with Mr Beach House in these situations. I can tell him what I really think and he can't get away from me. I'm sure he just loves these deep and meaningfuls I spring on him.....Yeah right!!!! It took us ages to get up to our agreed destination, as the wind would not cooperate fully, but at least our carbon foot print was respectable. With the beautiful Barrenjoey Lighthouse and Palm Beach as our back drop, the trip was worth it. And with cold drinks and chicken rolls on arrival, we were in our element. The eye candy wasn't bad either. The Beach House Brats soon hooked in with some others. Nothing like a bit of dam building to enhance kiddo bonding. This beach is only accessible by boat or seaplane, so it would be a great little spot for a romantic trip for two. Alas that was not to be. Two local yacht Clubs met for some good old fashioned picnic competition. These salty old dogs love a bit of winning action. There was egg throwing. Splat!!!!! And a tug of war. Sadly the opposition won this year. A great family fun in the sun day, was had by all. The Nor' Easter came in by the time we left the beach and we made it back to the sailing club in half the time, as our trip out. A quick shower and a Sunday night special dinner. I was in bed by 7.30pm. Ah..... there's nothing like some fresh air and a fun day out with the family to clear away the bad spirits. Mr Beach House still has my voice ringing in his ears. But perhaps not.... I do believe he has mastered that fine art of selective hearing, common to the male of the species. 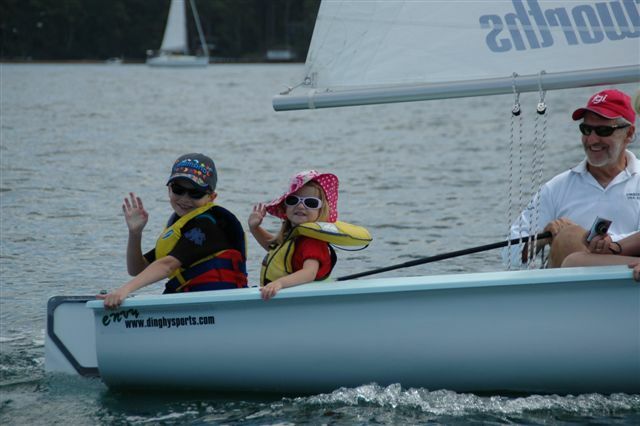 it looks like a great family day...pittwater must be a perfect place to sail. a lot of my childhood..and into my 20's was spent sailing. it's a great escape. the dam building looks like fun! 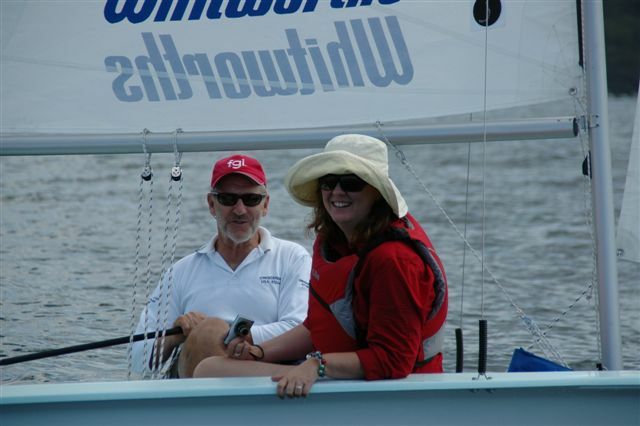 Great to see the shots of BYRA, Pittwater and your family. Really took me back...to about 1960 when I learnt to sail on a Sabot out of BYRA.